I had a fun weekend celebrating my (late) birthday with many clients at a local area pool and finished the night up with fireworks. Great times! I’d like to share with you an incredible transformation story. 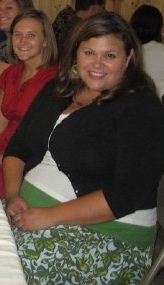 Jennifer came to my program with the desire to lose at least 100 lbs before she had kids. Over the course of 18 months she did just that through the support of our programs. If you have a significant amount of weight to lose and have tried unsuccessfully in the past, I want to give you my #1 tip to be successful and lose and keep the weight off this next time around. Surround yourself with people who have already lost significant amount of weight and kept it off and/or join people who are going through a weight loss program together that has proven success rates. This is why our Killer Kurves program works so well in Madison… We don’t teach anything extreme or crazy, we teach fundamentals slowly over time so that the 20 people who are all on the K2 journey together, will challenge and encourage each other each and every day as we follow our motto: Come As You Are. I want to remind those of you in the Madison area that we only have a handful of spots left for our next 12 week Killer Kurves (K2) session. If you have a BMI of 30 or greater, you qualify for K2, our most comprehensive weight loss program that starts a new session on July 7th. Almost every day I get emails from people who are bummed that there isn’t a K2 type program in their community. Here’s the good news… we used the success and curriculum of the Killer Kurves program and packaged it into a Fit Moms For Life 6 Week Challenge. Are you part of our community of Fit Moms? If not put your name and email in the box to the right to receive a free gift and receive awesome articles and videos on how you as a mom can get and stay in the best shape of your life. Today I have a video to share with you, that might be one of my favorites of all time. It is a story of a client/friend of mine named Jennifer, who over the course of about a year has lost 100 lbs through Fit Fun Bootcamps and MamaTone. I knew Jennifer a little bit in college, and 4 years later our paths crossed again and she joined Bootcamp and MamaTone. The reason why this is one of my favorite videos, because it does much more than talk about the 100 lb weight loss and the physical changes she has gone through, it talks more about how she is different as a person. Seeing the increase in self confidence, and the deep down conviction that anything can be accomplished in life, are some of the best rewards I get as a trainer. This is far greater to me than any number on the scale. Jennifer is one of the 31 woman featured in my book that is coming out this summer and I couldn’t be happier or prouder of her! If Jennifer’s story has wanted you to take action, I encourage you to take two action step options. If you are in the Madison, WI area, check out our class schedule. If you aren’t in the area another great option is our virtual Fit Moms for Life program. As with most things in life, things come and go. In fitness right now kettlebells might be the fastest growing trend. Kettlebells have been around for well over 50 years but they have resurfaced as a great way to get in shape. We use kettlebells at some of our Fit Fun Bootcamps locations in Madison, WI. Kettlebells have a handle that is fat with a canon looking ball on the end. Unlike dumbbells, kettlebells are as stable and require additional effort to control. Check out this video I did on CBS showing some of the exercises that can be done with kettlebells. Have you ever noticed when you receive a compliment from someone you immediately down play it and try to not make a big deal about it? Have you been told you looked really skinny in a certain picture and you say something like, “Well the lighting was really good, black made me much skinnier, and I was posed at the right angle.” Why is it so hard for us to accept compliments? 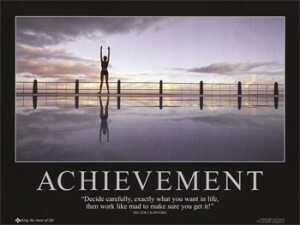 Or another question… Why is it so hard to let others know about our successes? I think we don’t want to come off as arrogant or braggish (not sure if that is a word, but it is now). We all know some of the most annoying people to be around are those who always talk about themselves and brag about what they have done. I believe it is ok, once in awhile to tell others what you have accomplished. It helps us celebrate our successes, if we just kept them up all inside and never did anything about them, I don’t think the successes would mean as much to us. So be sure to post your response to the question at the bottom of this article. This month I reached a big goal for me, and a huge honor. 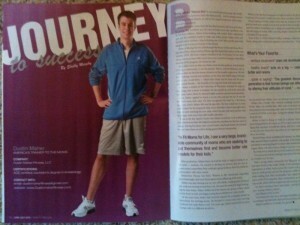 I was featured on the cover of my favorite magazine Personal Fitness Professional. This is the magazine I picked up 6 months before I decided to become a personal trainer, and to be featured on the cover was a huge honor. 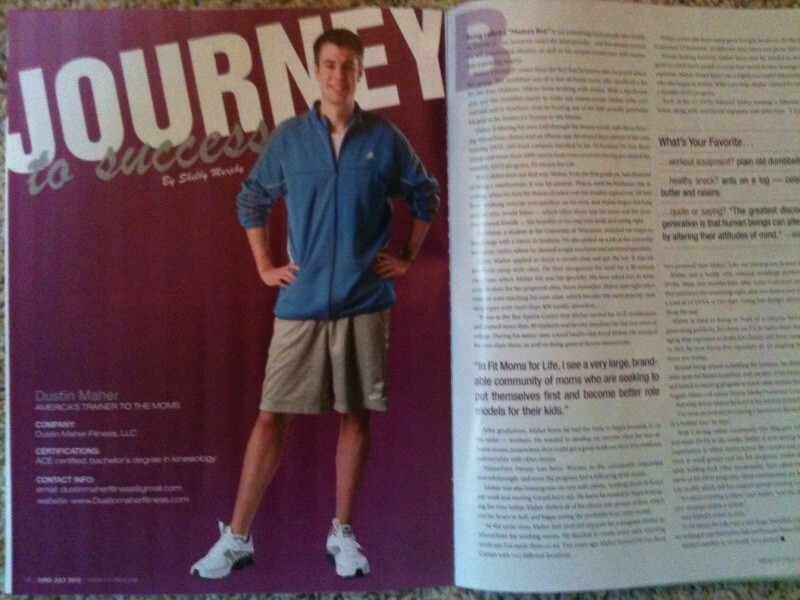 I was also told that I was the youngest trainer ever to get on the cover for the “Success Journey” story. To be acknowledged amongst my peer trainers, who I respect and love so much means a lot. If you are interested in reading the article, I have included it below. Being called a “Mama’s Boy” is not something most people take kindly to. Dustin Maher, however, wears the label proudly… and has already turned his self-proclaimed identity, as well as his unique connection with moms, into a growing empire. Maher’s strength comes from the fact that he knows who he is and where he’s going. The confident son of a stay-at-home mom who sacrificed a lot for her four children, Maher loves working with moms. With a handsome grin and the youthful charm to make any mama proud, Maher (who isn’t married and is nowhere close to busting out of his 20s) proudly proclaims his goal to be America’s Trainer to the Moms. Maher is blazing his own trail through the fitness world, with three thriving MamaTone classes and an iPhone app developed from pieces of his core training DVD, 300 boot campers enrolled in his 12-location Fit Fun Boot Camp and more than 1000 moms from nine countries having purchased his monthly DVD program, Fit Moms for Life. But it didn’t start out that way. Maher, from the first grade on, had dreamed of being a weatherman. It was his passion. That is, until his freshman year in college, when his love for fitness clouded over his weather aspirations. He had been studying exercise and nutrition on his own, and Maher began teaching anyone who would listen — which often times was his mom and her postmenopausal friends — the benefits of moving your body and eating right. So Maher, a student at the University of Wisconsin, switched his major to kinesiology with a minor in business. He also picked up a job at the university recreation center, where he cleaned weight machines and answered questions. Soon, Maher applied to teach a circuit class and got the job. It was his first boot camp style class. He then recognized the need for a 30-minute core class, which Maher felt was his specialty. His boss asked him to write a curriculum for his proposed class. Soon thereafter, Maher and eight other trainers were teaching his core class, which became the most popular class on campus with more than 400 weekly attendees. The possibilities of different exercises are endless if you have a knowledge of the body and how it moves in addition to a little creativity. 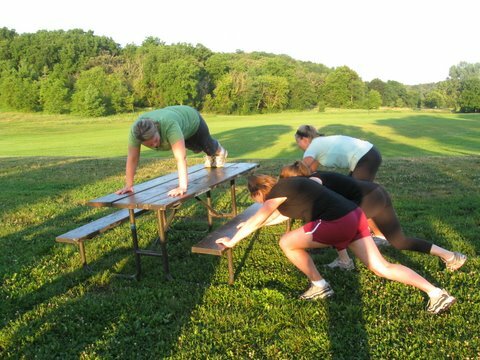 In this CBS episode I show some exercises you can do on a picnic table. My guest today is Emily a Fit Fun Bootcamp veteran of over two years. Like we mention in the video, she is 48 years old, but doesn’t look a day over 35. Her positive energy and enthusiasm is contagious and we are very blessed to have her in our bootcamps. Question of the day: What are some fun workouts you do outside? I know there are people from all over the world who read this, but for those of us in the Midwest United States, it has finally gotten warm—with highs getting into the 80’s! With summer nearing, getting workouts in outside is very desirable. After a long winter, the fresh air and bright sun are all we need to lift our spirits and brighten our day. Fit Fun Bootcamps always get very popular in the summer because people just don’t want to be inside any longer. Today I want to share with you some great exercises you can do outside with a medicine ball. Medicine balls are one of the most popular tools I use to train my clients because they are very simple, inexpensive ($20-$50 depending on weight), and easy to transport. Mary has lost a couple of jean sizes and, at the age of 40, is in the best shape of her life. I am very proud of everything she has done and the extreme intensity she brings to each workout. She definitely deserves the results. Please note that this video was filmed a couple of weeks ago. We have bootcamp every Saturday at 8 AM at Elver Park, which is free for current bootcampers and a $10 drop in for everyone else. We will be doing another big kickoff in a couple of weeks because the weather was very bad the first time around. Here is the list of exercises we did with the medicine balls. What is your favorite medicine ball workout? I am just getting back from an amazing trip to Vegas where I got mentored by 5 of the top fitness professionals in the world! I had to pay over $10,000 to be part of this year long group, but I know the teaching and lessons I am getting from them are priceless and it WILL and already has made me a better trainer and a person! If you aren’t getting coached in the areas of life that you want to improve upon I highly recommend it! I will be speaking at a one day seminar called “Expand Your Success,” on May 15th. Tickets were originally $199, but since I am speaking I am able to get you tickets for $99 and you can bring a friend for free! I will of course be speaking on fitness, there will be other great coaches presenting on nutrition, finance, fashion, and motivation. I would love to see you there! Click here for more details. For some of you this post is going to be too late for spring break, but I was recently on NBC sharing some last minute tips you can do to get ready for that spring break vacation you may be taking or if you need to slip into a small sized dress. I try to get my clients to go on a low carb, low sodium diet, while drinking plenty of water. I have found this to be the best way to get rid of water retention and bloating. I get them toconsume plenty of lean proteins and healthy fats and just eat enough complex carbs and fruit to give them enough energy. What are your favorite last minute tricks before you go on vacation? One of the most asked questions I get is workout ideas for those of you who spend most of your day hunched over your desk. The rounded shoulders, which have become an epidemic the past 30 years since more and more people are sitting at desks and computers. It is extremely important to take preventative measures to make sure you don’t permanently have poor posture, which down the road can lead to some serious issues. I have an amazing person named Alicia helping me with the demonstrations. Alicia is one of our all star Fit Fun Bootcampers and is definitely the life of the party. She enjoys setting singles up together as potential matches and really does a great job of supporting the bootcampers. She is also an AMAZING sprinter when you get her outside running. Watch out! Be sure to pay attention to how flat she keeps her back on the exercises that require her to be bent over. This is one of the hardest positions for myself and my trainers to get across to some people. For those who have had poor posture for many years and have muscle imbalances, it is very tough to keep the back flat instead of rounded. So today as you sit in the office, grab a coworker, don’t actually grab your coworker though, and go through some of these exercises! Build Strength To Tone Body: P90X for Moms! I have addressed the topic of resistance training, and heavy resistance training at that, as my favorite form of fat loss. I still get emails and comments from woman who are scared to lift heavy because they are going to get all bulky like guys. I hope this video will convince a few more skeptics that it just isn’t the case. Once you shed the fat away from the body you are left with, small, lean, and toned muscles. If you were impressed with what Sarah was able to do and want to begin to build your strength up, my Fit Moms For Life DVDs do just that! Workout with moms just like Sarah as they sweat and work hard towards their way to a very fit, and toned body! To encourage you to start, I am giving my first months CD and DVD away for FREE, just pay shipping. http://www.fitmomsforlife.com/thankyou.html Join the nearly 1000 moms who have taken the challenge! Question: For those of you who have been following my advice and lifting heavy, please share with me how it has worked out? Do you feel differently? What are the benefits? The past couple weeks I have been focusing on giving you as much information about attaining a flat stomach as possible. My new Got Core program has been selling unbelievable, I am feel very blessed for the business, but more importantly knowing that there are 500 of you who have a tool in your possession that can really improve the quality of your life. I know that sounds dramatic, but if you have ever struggled with serious back pain, or poor posture, I think you know what I am talking about. I am not saying these core workouts will solve all your problems and guarantee you never experience back pain again, but the chances are much lower! It was great to be back on NBC and it was awesome to have Sarah Carlson herself demonstrate the exercises. 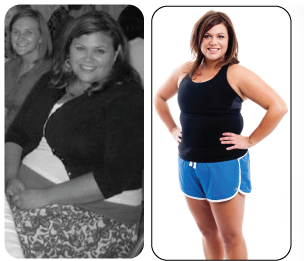 Sarah is an amazing person and has achieved a killer body while facing a lot of adversity the past two years. If you have been following our segments throughout the past 18 months, you will notice that she has lost over 25 lbs and about 6 inches off her belly. Sarah works extremely hard at MamaTone, and with the Got Core DVDs and all the results she has gotten have been well deserved! Here are some great core exercises you can do at home! How Kim Lost 7% Body Fat and 3.25 Inches in Her Waist in Just 33 Days! 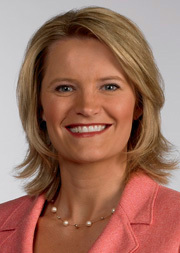 I have been doing a 5 part series with Kim Sveum of ABC news. She wanted to do a series on healthy moms and decided that she needed to practice what she preached. So she enlisted my help at creating an eating and exercise plan that would help her lose fat, lose inches, and increase her energy levels. Before I agreed to this, I wanted to make sure she was committed, because the last thing I wanted was for me to take before and after measurements on TV to 10,000’s of people and not have someone who was committed. After meeting with Kim, I could tell she was going to give it 100% and make me look good! 🙂 And boy did she ever! I want to make a couple points about these #s.
1. You can’t spot reduce: notice she lost pretty consistently in ALL parts of her body, not just in one area. 2. She gained 3 lbs of lean weight (muscle) through this process. 3. Although she lost 7lbs, she actually lost 10 lbs of fat. 4. She lost 3.25 inches in her abdomen. 5. She lost an astounding 7 % bodyfat total. For exercise Kim didn’t do any traditional cardio instead focused on heavy weight training and interval cardio training. She worked out about 4 times/week for 45 minutes each time. 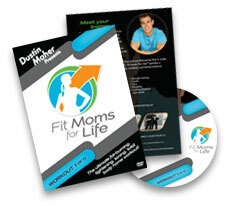 She did a combination of my Fit Fun Bootcamps, MamaTone Fitness, and Fit Moms For Life DVDs. She followed a higher protein and fat diet and lower carb and no sugar eating plan and no carbs after 3 pm. 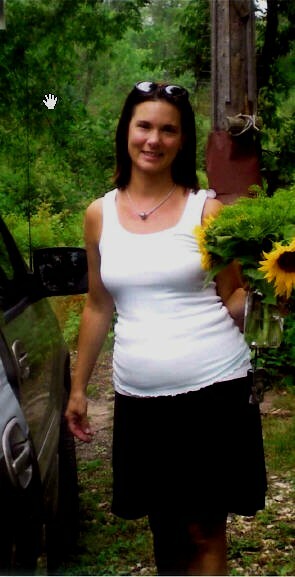 She drank 1 gallon of water each day and eliminated all processed foods and fake sugars. She ate about 1400 calories per day. If you want to read Kim’s blog and journey and more about how she did what she did in much more detail, I highly recommend you to click here and check out her stories! The reason I do what I do, is to give moms back their self confidence (if they lost it), reshape their bodies, and increase their energy, to help them make it through the daily grind of life and kids. The amount of responsibility that moms have on a daily basis can seem overwhelming, and combine that with a poor diet, lack of exercise, and lack of sleep, you can see why so many moms are stressed/worn out, and feel like they are in a gerbil wheel, spinning their legs, but not getting anywhere. Kim Sveum of ABC news did a great story on Anne Anderson, those of you who are to Fit Moms For Life DVD #6 will recognize her from the workout. Anne is almost ready to turn 40 and has done a great job eating right, and has been part of MamaTone (Bootcamp for stay at home moms) for well over a year and has really toned up nicely! Notice the weights Anne and Kim are using are 25 lb dumbbells for many of the exercises! Don’t be afraid to use heavy weights, it will burn more calories. 1. If you don’t put yourself first, it will be very tough to keep up with everything. 2. Know how long you can dedicate to exercise. 3. Focus on high intensity exercise. 5. Feel free to break up a 30 minute workout into 3-4 10 minutes sections. 6. Do some bodyweight exercises at home such as burpees, tricep dips, and squat pulses.